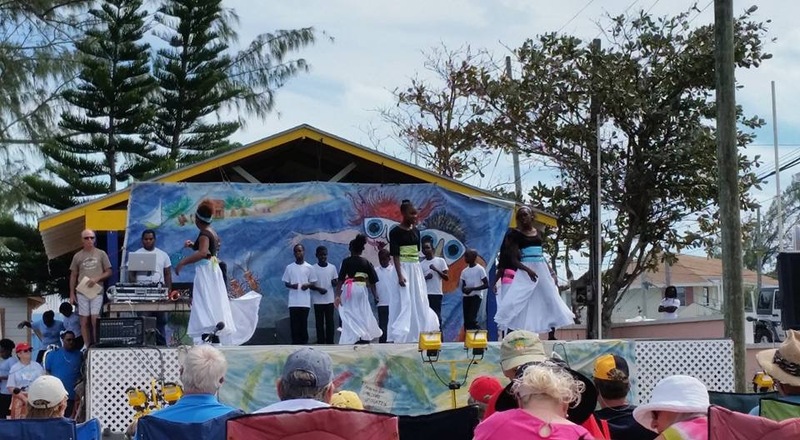 One of the many projects Mark completed this season in Stuart was to install a solar panel that will heat our water. Friends Matt and Karen on Where 2, another Lagoon 420, gave us this idea. They told us they always have hot water during the daylight hours from their solar panel. With our new 6th battery, our five solar panels on the bimini, and our new wind generator, we hope to be creating enough power to meet our needs. This additional solar panel will enable us to have hot water on demand without turning on the generator, which is the only other way we have to heat it. 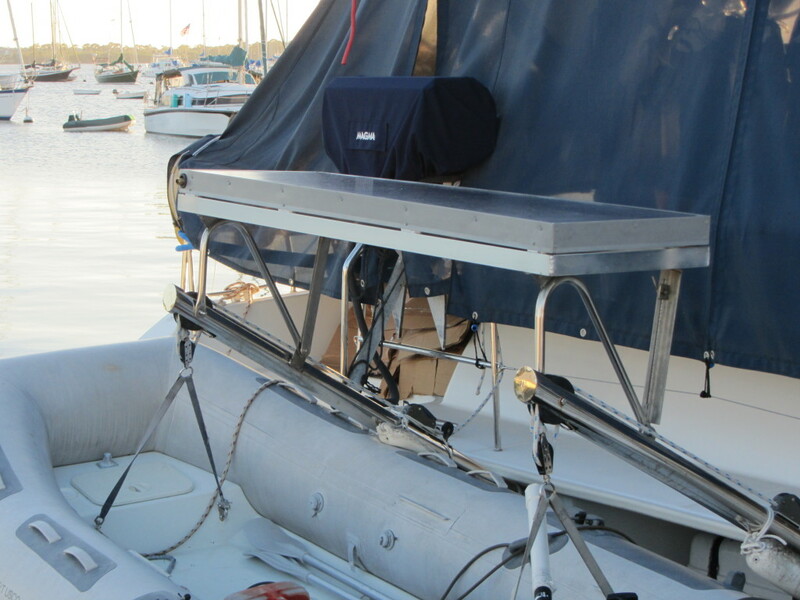 We had brackets and a shelf made to hold the solar panel above the dinghy and Mark installed it. In the past we have resorted to sun showers (a bag of water heated by the sun with a tube running through an open hatch into the master shower) or we turned on the generator to heat the water. This solar panel should pay for itself with all the fuel we will save by not running the generator. 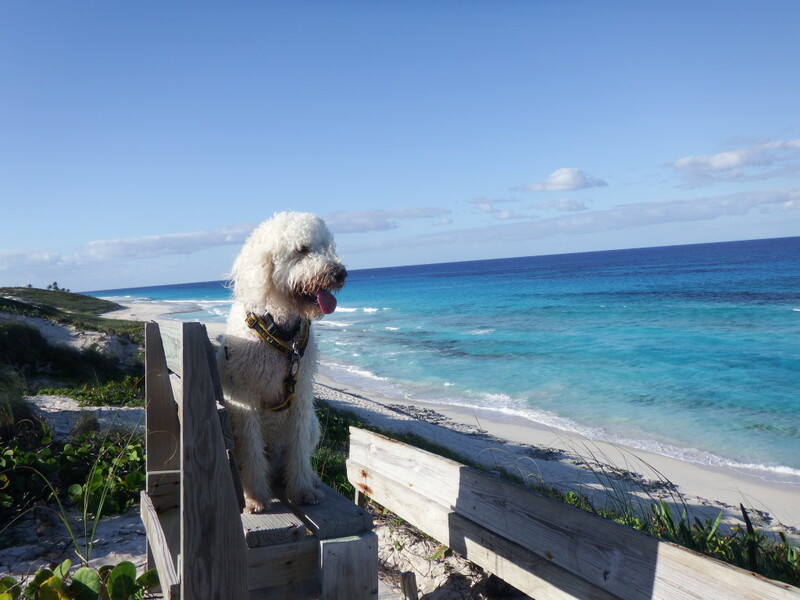 This entry was posted in Outfitting additions and tagged Solar Panels on January 14, 2014 by Jan.
What Do You Do in the Bahamas For Six Months? Recently, I was talking with an acquaintance about our plans to go to the Bahamas on our boat for six months. 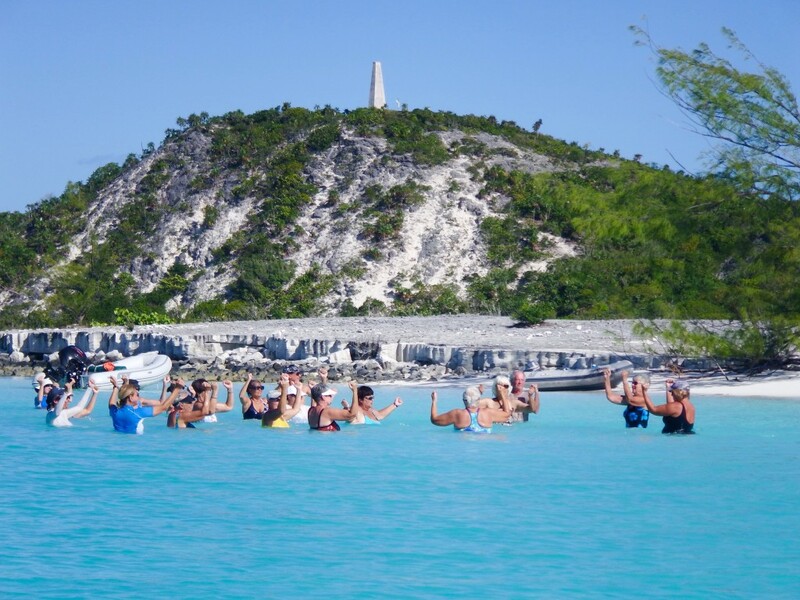 He asked, “What do you do for six months on a boat in the Bahamas?” I don’t know if he was inferring that it would be boring or if he was genuinely confused, but I gave him the stock answer: we snorkel, swim, sail, hike and have sundowners with other cruisers. Later, I started to think about it and realized if you’ve never left the country on a boat for an extended period of time, then you might have this same question. As I started to write this blog entry, I found myself thinking about what we DON’T do and DON’T have for those six months, so I’ll get that over first. 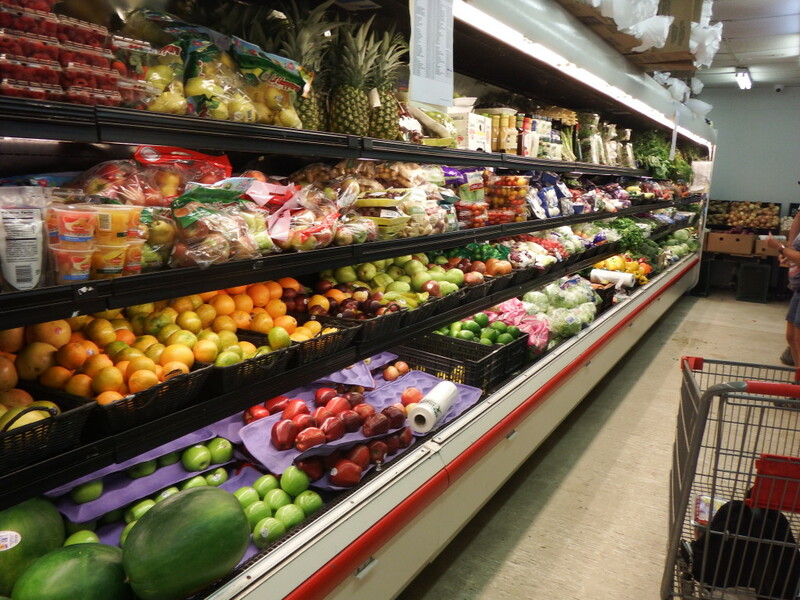 We can’t walk into a grocery store and have every food choice known to man in front of us for reasonable prices. While we have Direct TV on the boat and we have satellite coverage every place we sail, we would use up too much power if we watched it very much, so other than a few favorite shows, we don’t. We can’t go to our regular doctors, dentists, ophthalmologists or specialists for check-ups and we can’t visit them when we are sick. I can’t go to my favorite hair salon or yoga studio. Since we make our own power with solar panels and a wind generator, we have to be frugal with the appliances we use. That limits using our blow dryer, curling iron, toaster, microwave, ice maker, and other power hogs. We make our own water and that uses power so we can’t take long showers. And of course the real biggie……no Starbucks! Because of those “don’ts” we have to make lots of lists and “provision” before we leave. Think having to buy six months worth of everything in your kitchen and medicine cabinets because likely you won’t find your favorite shampoo, toothpaste, deodorant, make-up, etc. in the little stores on most islands. Food is a different story because you could go there with no food and eat well. The difference would be the expense and the lack, in most stores, of your favorite brands so we try to buy sufficient amounts of everything we think we will eat. My hair won’t look as nice, but Mark is a pretty good hair cutter and there is usually a nice wind to blow my hair dry. We get our physicals and check-ups between June and November. Luckily we rarely get sick and if we did there are clinics on most islands. We don’t miss TV, especially the news, and we get to read lots of books. While we limit using certain appliances, when the generator is on we can use anything. If we need something not available in the islands, we can order it online and get it shipped to us. As far as frappuccinos, I just have to endure withdrawal symptoms for awhile. There is a Starbucks in Nassau and when we stop there I usually linger over my last one until I get back to Florida in June. Once we are in the Bahamas, we have no schedule. That is on purpose because cruisers know the most dangerous thing on a boat is sailing with a schedule. If you have to get somewhere on a certain date you are tempted to leave when the weather forecast is not safe. 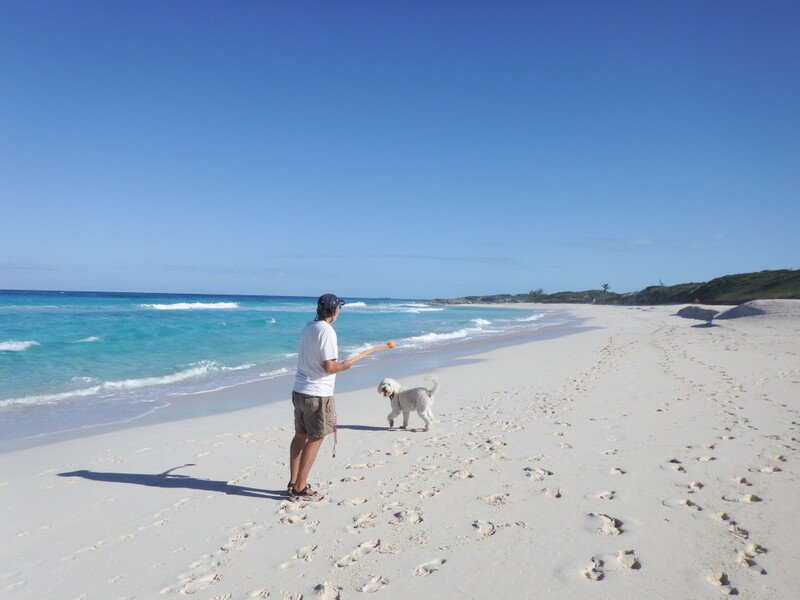 Luckily, in the Exumas where we travel the next destination is usually a few miles away and at most less than a day’s sail or motorsail. Also, there is no hurry to get there or even go there. We have no fixed itinerary, just places we would like to visit. Now for the answer to what do we do all day for six months. Remarkably, every day is different. The weather changes, the location changes and the people around us or the lack thereof, changes. On a typical day, we wake up with the sun and eat breakfast outside in the cockpit. 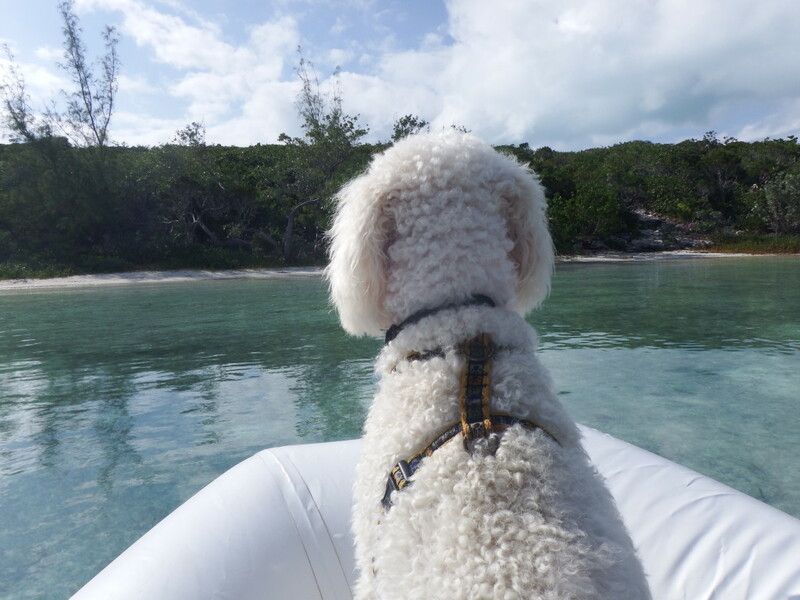 Sailor will ride ashore in the dinghy to a quiet, sandy beach where he is the only dog. At each place we stop there are usually several nice beaches close to us. 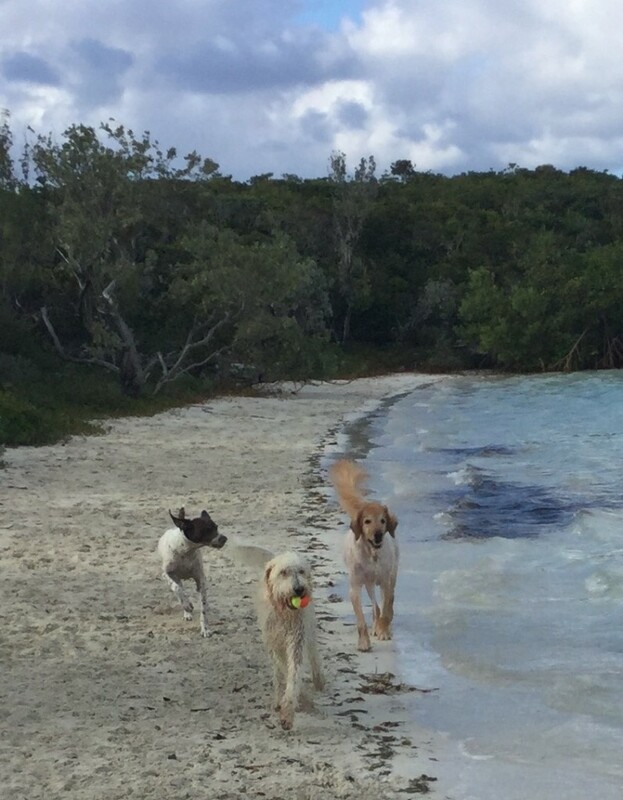 If another dog is in the anchorage and going ashore, we can choose to play or be alone. He’ll have a run and swim and take care of his “business.” Back on the boat, we might have a few chores to do…..cleaning or laundry for me, a boat repair or maintenance work for Mark. If we don’t have work to do we might paddle the kayaks into nearby mangroves or along the shore. 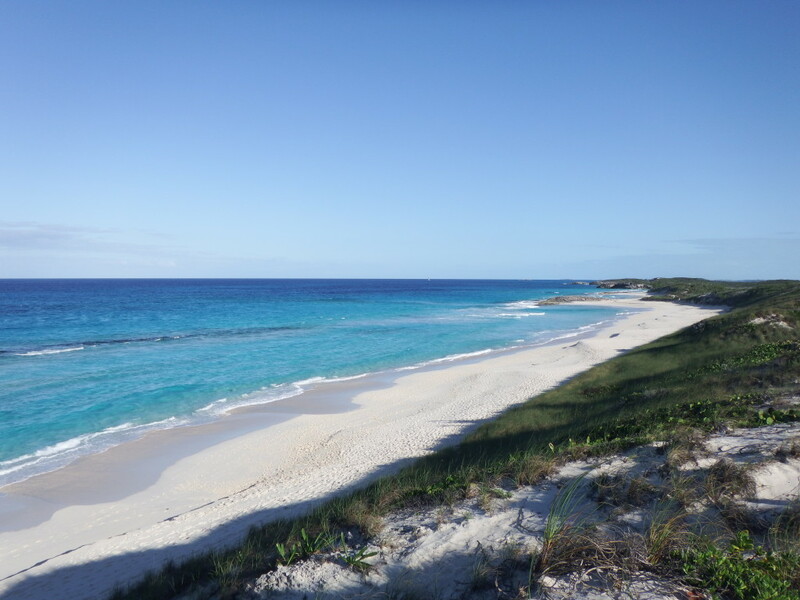 Stopping at a beach via kayak or dinghy, we might swim in the calm turquoise water or take a short walk to the other side of the island, which will be on the Exuma Sound, and enjoy a whole different rocky ocean shore. 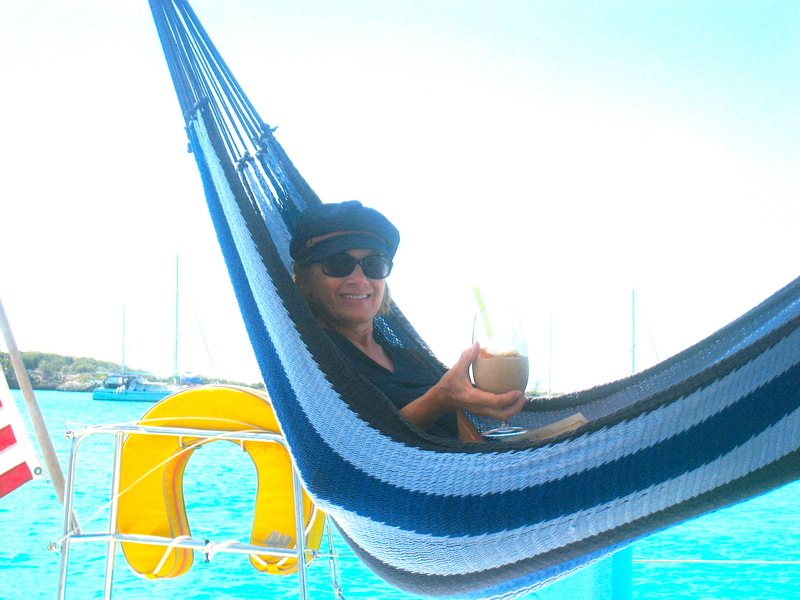 After lunch on the boat, we might relax with a book from our library or on our Kindle. We almost always have Internet access through Batelco (Bahamas Telephone Company) so I might write a blog, check email, pay bills online or look at what mail has come into our mail forwarding service. At our request, St. Brendan’s will scan any important mail into a pdf so we can read it online and print it out if needed. 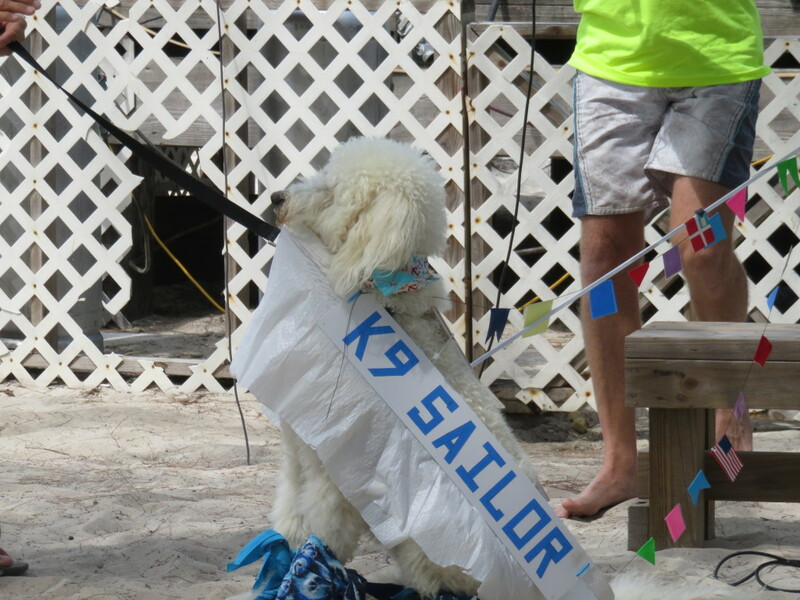 Sailor will get another dinghy ride ashore in the afternoon. 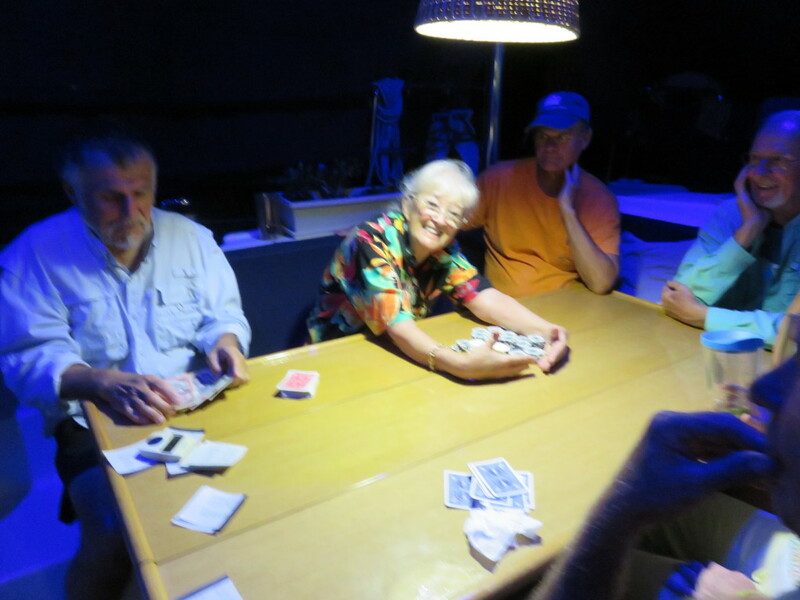 If we don’t get together with friends for dinner, we’ll probably go ashore for sundowners (drinks and snacks) with a group of cruisers anchored near us, or we’ll have friends over to play Mexican Train (domino game). When we are tired we go to bed. That’s a typical day but on other days, depending on the island we are near, we’ll snorkel, go ashore to walk through the small towns, ride our bikes, and do some grocery shopping. 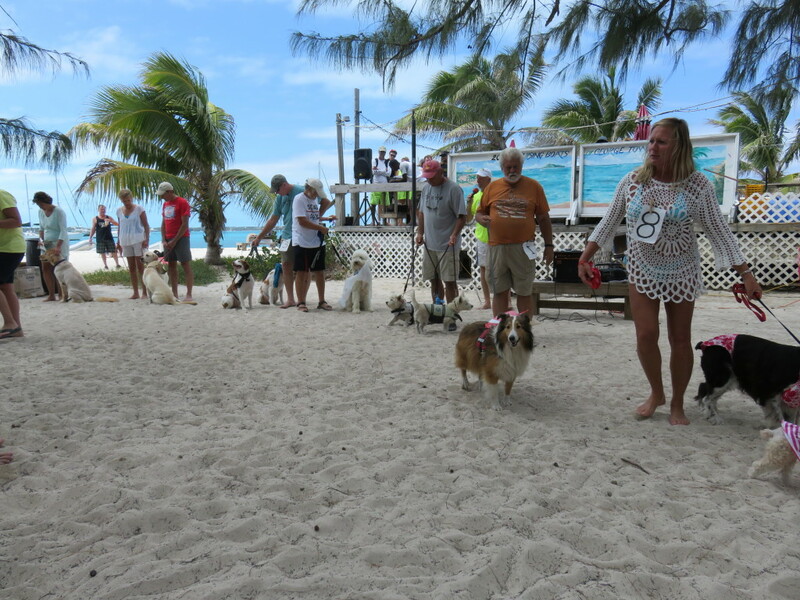 If we are near a more populated town like Georgetown, we have numerous options for eating out and shore activities. 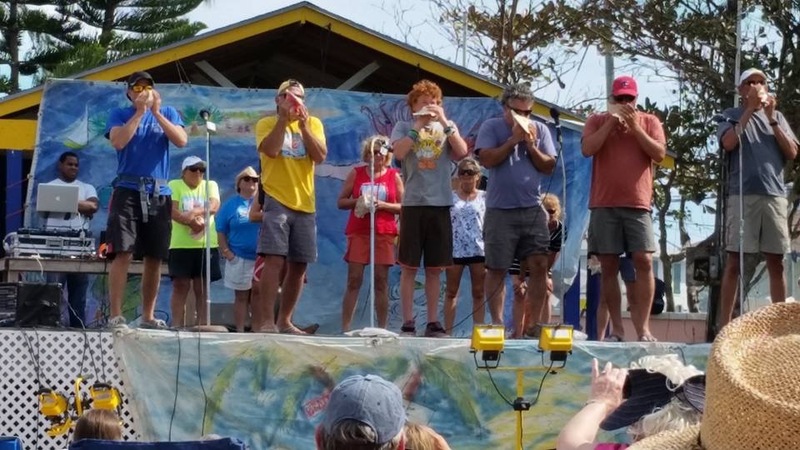 That town, in particular, has activities for cruisers going on every day like beach yoga, volleyball, Texas Hold’em, dances, pot lucks, sundowners, scavenger hunts, etc. When we are in Georgetown, we are one of over a hundred boats spread out over numerous anchorages. We can anchor alone or near a group of boats. Bottom line is we never get bored. We are totally relaxed most of the time except when there is a problem with something on the boat. In that case, Mark fixes it. 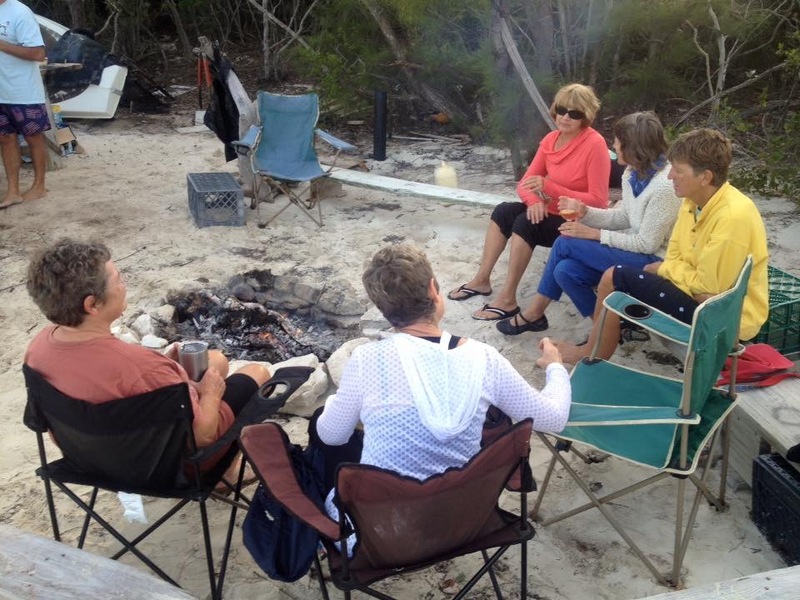 We meet a lot of people with similar interests and make lifelong friends. 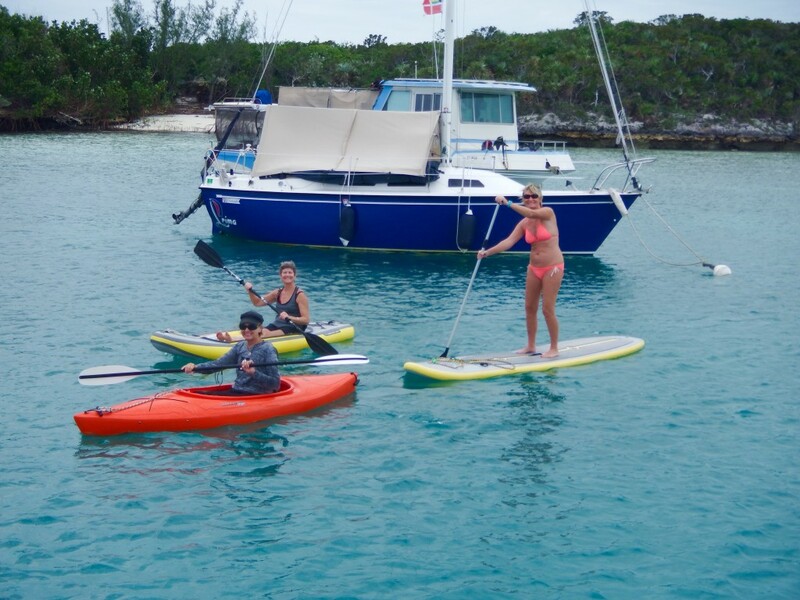 We actually socialize much more with friends when we are in the Bahamas than when we are at a dock in the States or than we did when we lived in a house. If we have a question or problem we make a call to everyone in hearing distance on our VHF radio and ask if anyone can help us. Invariably we get that help. 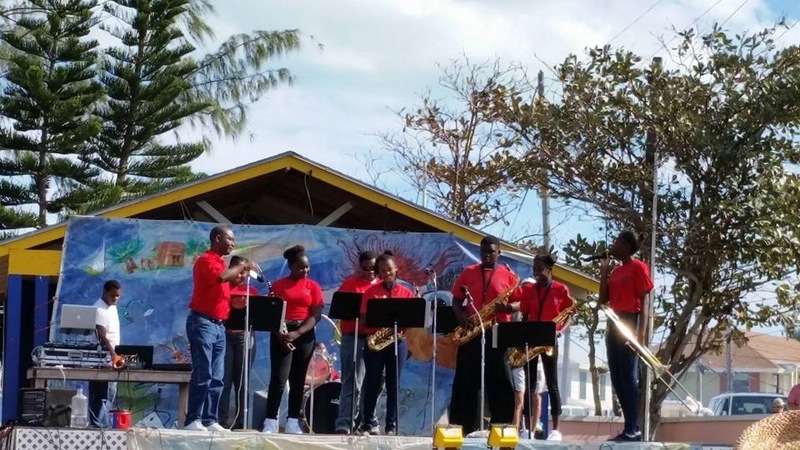 In Georgetown there is a cruiser’s net broadcast every morning on the VHF radio where we can hear and share news, questions, and announcements. One last thing. The Bahamas are beautiful. You could spend hours just looking at the sunrises, sunsets and everything in between. The water is crystal clear and an indescribable color. 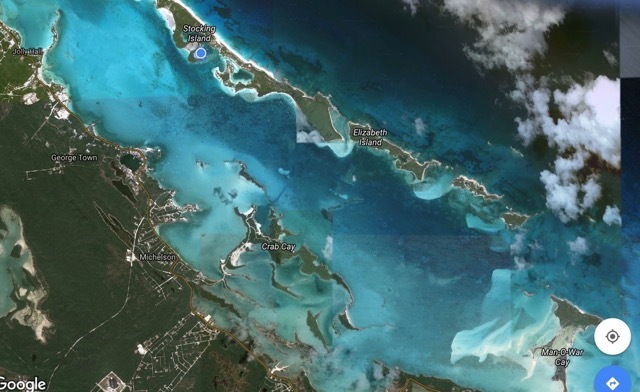 (The background on the computer version of this website is a picture we took of the water under our boat in the Exumas.) 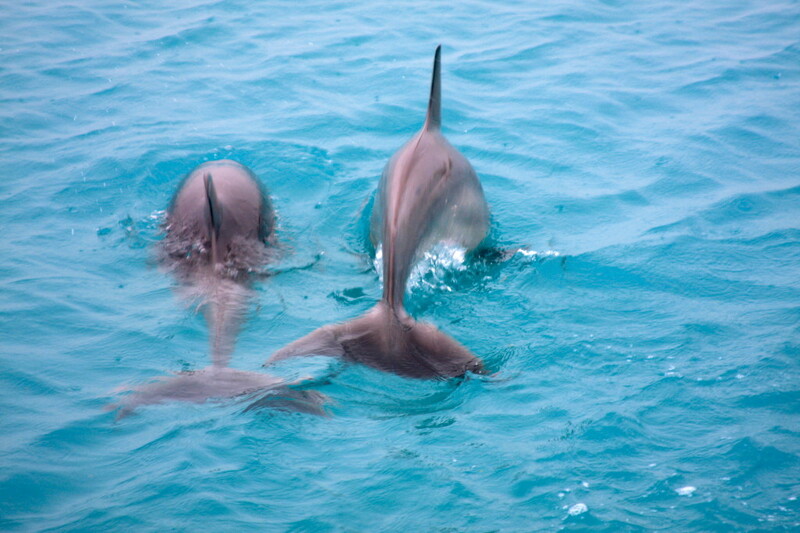 Dolphins are everywhere and no matter how many times we see them, we have to stop what we are doing and watch these mesmerizing creatures. 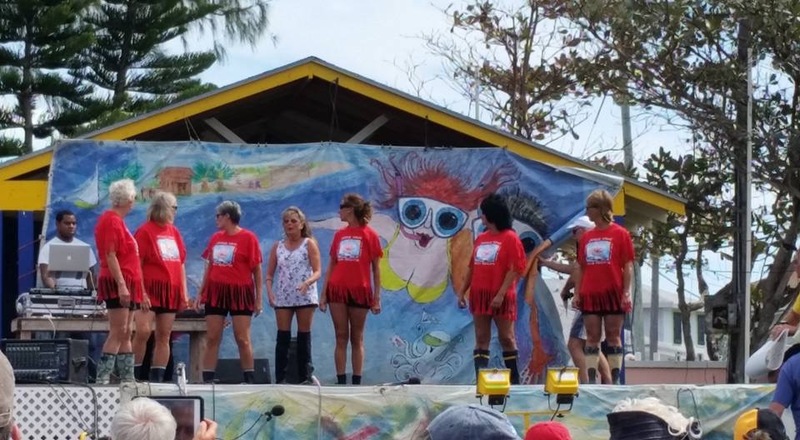 What do we do for six months on our boat while in the Bahamas? We “seas” each and every day. 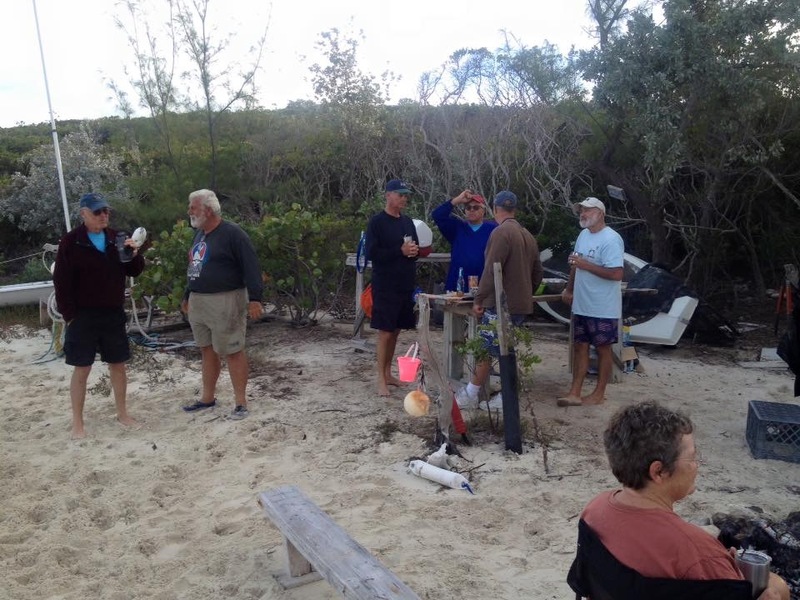 This entry was posted in Bahamas, Beach, Provisioning, Sailing and tagged Bahamas, Kayak, Liveaboard, Provisioning, Solar Panels, Wind Generator on October 30, 2013 by Jan.
On a boat, the work never ends. 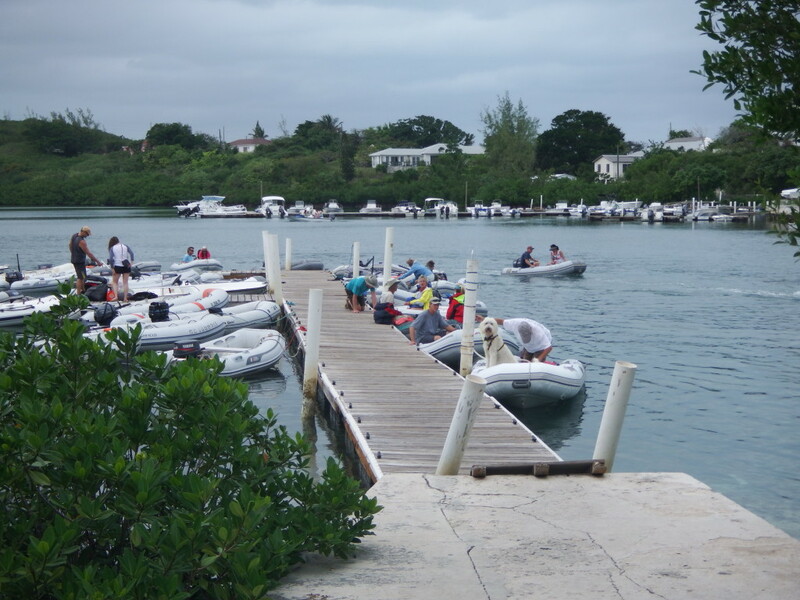 Luckily, most of the time when we are at the marina during hurricane season, the projects are things we want to do. When we are cruising, usually Mark spends most of his time fixing something that breaks. We have been at Sunset Bay for four months, with two more to go. The biggest projects are finished, but the “to do” list is still long. 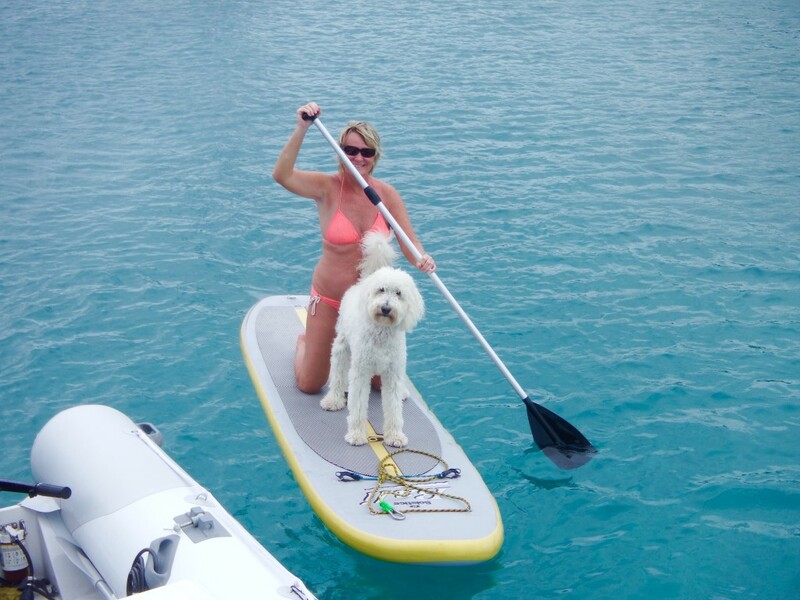 We have wanted to get a new dodger (aka windshield) since we bought the boat five years ago. The one that came from Lagoon with the boat was, to put it mildly, a piece of junk. After a short time, it was impossible to see out of it, unless Mark had just polished the windows. By the time we replaced it, it was moldy and falling apart. 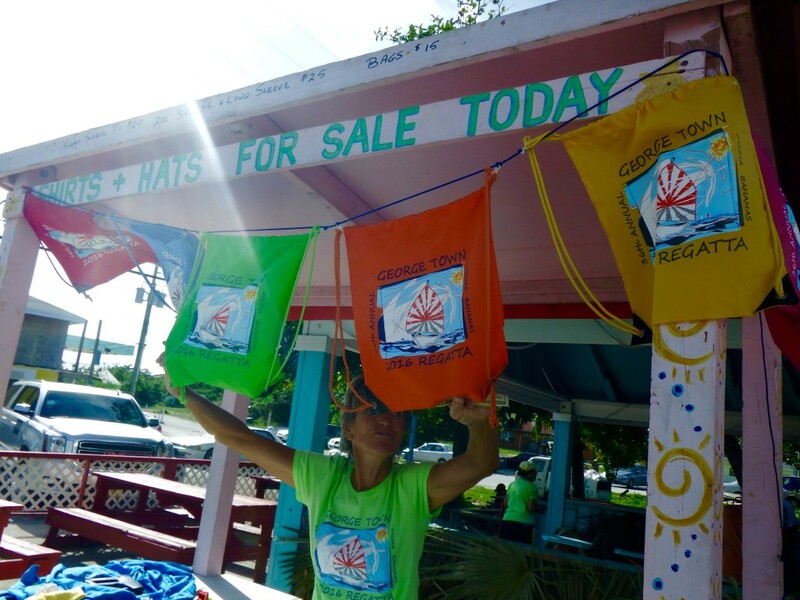 The new one was made by G & G Sails and Canvas, which is located a few miles from us in Stuart. The front windows are 80 ml acrylic (Ez2cy) and they are glued into the frame, rather than sewed into it. The side ones are a coated vinyl called Strataglas. The nice thing about acrylic is they can be buffed if they get scratched. They are also as clear as glass. 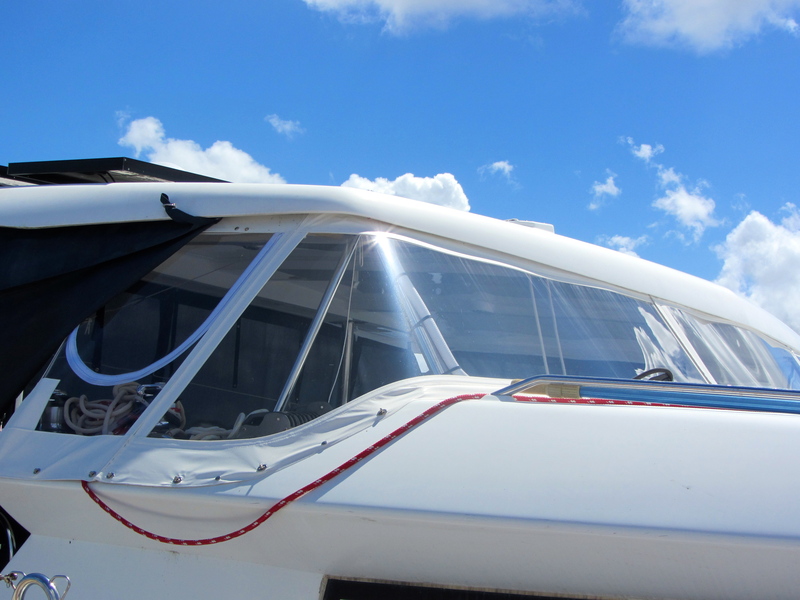 We tried to find someone who would install glass because we lusted for windshield wipers, like powerboats and a few sailboats have, but in the end we are very happy with the results. At the top of our list was to purchase a wind generator. When Seas the Day was a hybrid, we had plenty of power from the many chargers and batteries, but once we got rid of all of that, we needed other sources for when we aren’t plugged into shore power. 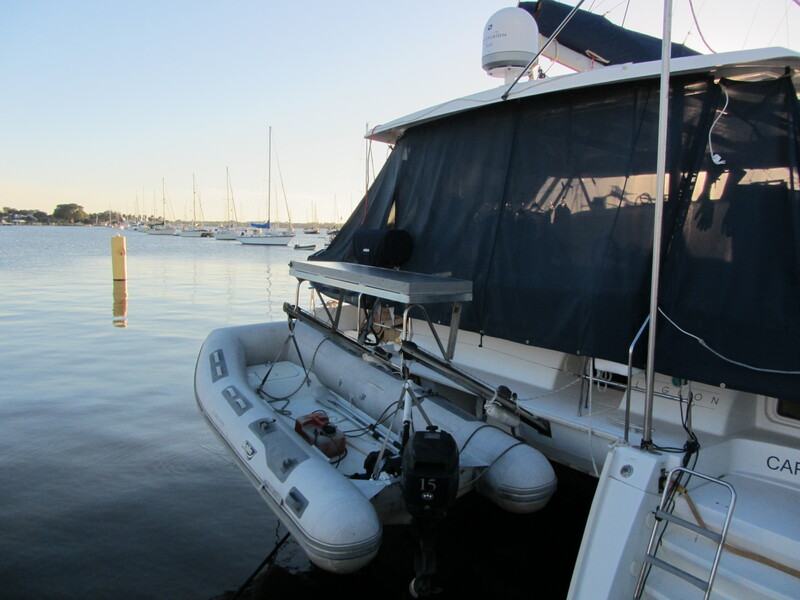 Last year, we installed five solar panels on the bimini. They worked great in the spring and summer, but in the fall and winter as the days shortened and the sun was lower in the sky, we got less and less charge from them. 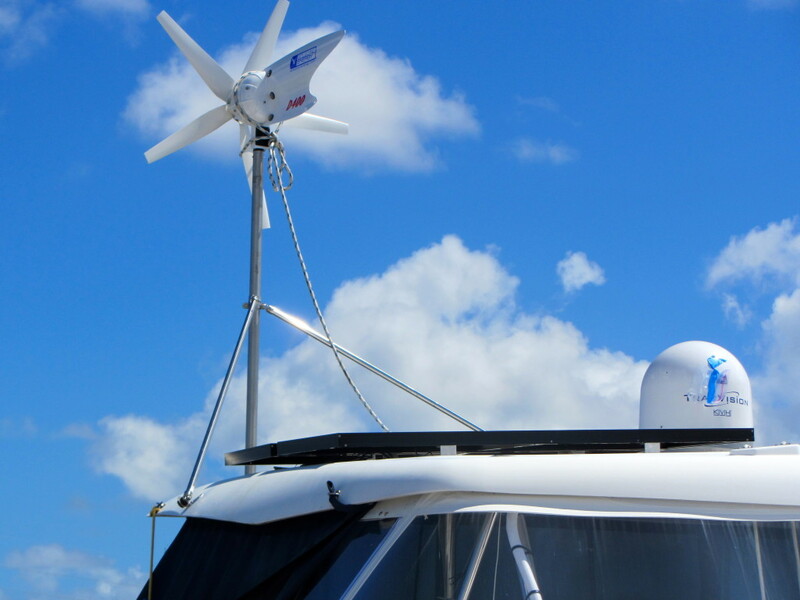 However, in the winter there is a lot of wind in the Bahamas, so we decided to add a wind generator to keep the charge up overnight. We got an Eclectic D400, which is the quietest generator with the highest output at the lowest wind velocities. We won’t be able to try it until we unplug from shore power in December and head to the Bahamas. Mark installed it, as he has done with almost everything we have added to the boat. If it doesn’t give us quite enough charge at night and cloudy days, then we’ll add another one next year. 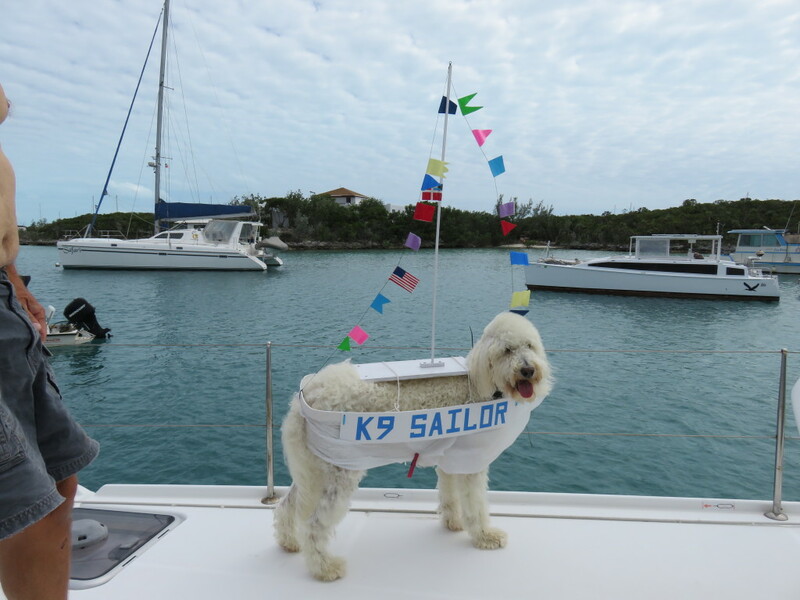 This entry was posted in Boat Maintenance, Florida and tagged Boat Repairs, Dodger, Solar Panels, Wind Generator on September 29, 2013 by Jan.